Our question lists come from official EASA Central Question Banks to help ensure that when you go to take your actual exams, the questions, plus or minus a few translation localization issues, will look very familiar. We work with a number of flight schools to keep our question banks as up to date as possible and rebuild our databases regularly (most recent or soon upcoming scheduled build: Monday, April 22, 2019). Our apps feature an intuitive and polished user experience that allow you to make the most of your study time. While this may not seem important at first, over time this can reduce your total stime by hours and hours. Each platform version of GroundSchool EASA features numerous study and learning modes so that you can study in a way that works best for you. This includes the abiility to generate an unlimited number of sample practice papers/tests to study from. Our GroundSchool EASA apps feature free lifetime updates; built in and always available with a few clicks. Compare this to books or our competitor apps, which are becoming out of date from the moment they are printed. Our update system is live connected to the back-end system that our editorial team users: as soon as a new question appears in our database, you can get it. Except for obvious things such as the need to have an internet connection when initially getting or later updating the app, you DO NOT NEED TO BE ONLINE to use our apps. The entire question database and all reference charts and figures will be on your device sot that you can study whenever and wherever you are. We've been providing EASA (formerly JAA) theory exam preparation materials since 2002. Since then, hundreds of flight schools and tens of thousands of individual pilots have come to use our training materials. When used in conjunction with your textbooks/study notes, it's a proven system that works. You pay one price and the app is yours forever. There are no further recurring subscription or any other charges whatsoever. All that we ask is for your understanding is that you are getting a single-user license for the platform of your choice; you cannot give, lend, or sell our app to anybody else, even when you are done with this. Our competitors, by contrast, largely have "subscription" based plans that cost you a lot more in the long run given how much time it actually takes to study for the exams. With our good-for-life purchase, even after you get your Licenses/Ratings, you can use our app as a brush-up for interviews and currency. We regularly compare ourselves to our copetitors to ensure that we offer great value. We take pride in offering our apps at the lowest total price of any serious EASA exam prep apps. Please click on one of the links below to get the app for the platform of your choice. You can download the app and be studying in just minutes, well on your way to passing those exams and fulfilling your aviation goals! Pass your EASA ATPL exams and become a professional pilot with the help of our efficient and convenient study apps! 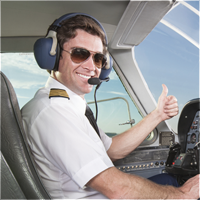 Only €63.99* to prep for all 14 Airline Transport Pilot License Airplane (ATPL-A) Exams. Instant access on the platform of your choice. Whether you're an aspiring airline pilot in Europe or in other EASA-compliant (JAR-FCL) countries or you're a clever FAA or other certified pilot who recognizes that holding a EASA Airline Transport Pilot License Airplane (ATPL-A) will offer you substantial career advantages at home and abroad, the reality is you will need to take and pass the theory exams. We'll help you pass your theory exams quickly, easily, and inexpensively. Our EASA theory exam prep apps and softawre are trusted by hundreds of flight schools worldwide and have been successfully used by tens of thousands of students. You can get the app now for the platform of your choice and be studying and on your way to aviation career success in minutes. Approximately 15,000 questions representing the totality of the EASA ATPL CQB and covering all 14 ATPL theory tests. 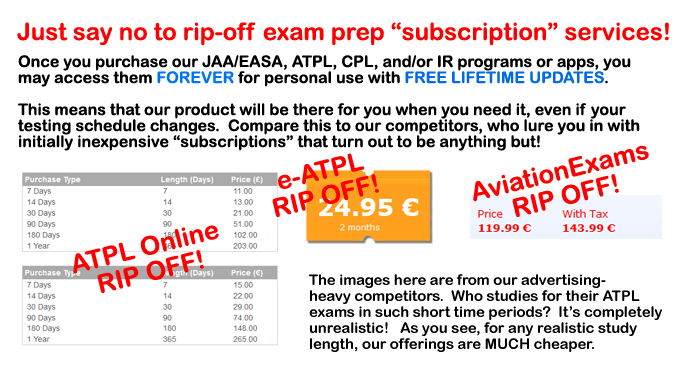 Unbeatable Price: €63.99 for test preparation software for all 14 tests. Free Lifetime Updates / No Expiration Dates Highly customizable study and training interface. But don't take our word for it - get the apps below and see for yourself! Our Windows PC Apps are available on a try before you buy basis - you're free to download the demos below and try them on your PC. If you like them, you can purchase an activation code that will transform the demo version into the full version instantly. For other versions,including iPhone/iPad and Android, you can purchase the apps directly from the official app stores via the links below. Each download below contains all of the exam preps. If you want to be an airline or other highly professional pilot in Europe or elsewhere where EASA accreditation is the standard, obtaining a JAR-FCL Airline Transport Pilot License Airplane (ATPL-A) is, for all practical purposes a requirement. If you are already an airline pilot either in the USA, Canada, or other non-EASA Flight Crew Licensing countries, obtaining a EASA ATPL license will improve your career, as it is increasingly being seen as a key differentiator. This is truly the most comprehensive knowledge challenge in civil aviation - passing it should be a source of challenge and pride to you. .
A few very minor* exceptions notwithstanding, there is no way to get a EASA ATPL certificate except taking and passing the 14 EASA ATPL multiple choice theory exams (this text refers to the regime for airplane - the situation is slightly different for helicopter). This applies even if you hold, for example, an FAA ATP certificate already. The exams are, unfortunately, not easy. If they were, the ATPL would hardly be a distinction at all. The scope and amount of material tested is roughly equivalent to that of a four-year college degree in aviation. Indeed, several full-time schools exist to prepare people for these tests. If you are in Europe, perhaps you are enrolled in one now (don't worry- this software will still be highly useful for you -- read on!). If you are foreign pilot thinking about converting to a EASA ATPL, in most cases you probably don't need to meet a fixed classroom hour requirement, but you still do need to take and pass the tests. Is the EASA ATPL a challenge? Yes, but you can do it. Fortunately, this GroundSchool software makes preparing for all fourteen EASA ATPL written exams as painless as possible. GroundSchool features questions that very closely mimic actual EASA CQB questions so that the questions you see in the software are very likely to be quite familiar to you when you sit your the actual papers. GroundSchool contains numerous test and study modes to help implant the answers into your brain as quickly as possible in a manner that works for you. How should you use this software? If you're studying for your EASA ATPL with a distance learning or classroom based program, you're probably under a tremendous amount of pressure. In this case, use GroundSchool as a time-reliever. Most people find book and website-based learning to be quite inefficient compared to GroundSchool. You will likely save days, if not weeks, of revision time by using GroundSchool. Where you have questions about particular content, you can always refer to your class notes or instructor. 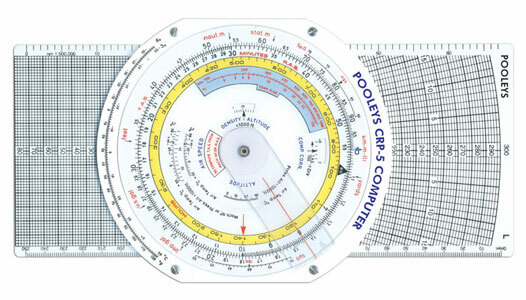 Furthermore, GroundSchool is immensely useful immediately before the test as you can generate an unlimited number of simulated practice papers (tests) to take both to check your own readiness and get those last morsels of information into your brain in a highly efficient way before the big day. I (your author) did it this way and the results were highly satisfactory. If you're an FAA, Transport Canada, or other pilot, you probably already have a reasonable grasp of much of the content, though are missing many of the specifics and differences. As you are likely freed of the classroom requirement, your goal is just to take and pass the 14 written exams. Depending on your exact situation, you might not need to take a course at all. However regardless of whether you do or don't, you may find it difficult to really stay focused on these questions that deal with what are, to you, foreign matters. Use this software as a way to blitz the questions before a test. Force yourself to study them and make yourself sign up to actually take the written tests. Yes, it takes discipline, but the rewards are many. At the time of this writing, job opportunities for FAA-only pilots are arguably somewhat flat while the pilot market for EASA license holders is booming and this includes many positions inside the USA and Canada. For many FAA pilots, this software can be a near substitute for those courses costing thousands of dollars. If you don't meet the experience requirements to skip such a distance course completely, you can of course still use this software as describe in the previous paragraph to make your study optimally efficient. What do You need to use the software and answer the questions? This software contains a database of questions that are very very similar to the questions of actual EASA CQB (the actual questions are not published, but our questions, you will find to be very very close to the real ones). Excepting the items found in the Jeppesen Airway Manual for Flight Crew Licensing (described below), this software includes all of the figures that you will need to reference while answering the questions. You can always check for updates and revisions by using the 'program updates check' link from the main menu. You can also use this screen to download additional test banks. When you download GroundSchool from our website, you may have downloaded this software with just one of test banks (we have download packages that include either just one or all 14 tests). . It takes just a few minutes to download any additional test bank. With GroundSchool, you're never far from having the most current available version of the test that you want to study for at your fingertips. There's no waiting for the postman - if you don't already have the test you are interested in installed, you can get it in mere moments. That said, however, you will need to purchase two things additionally to take and pass your EASA ATPL written tests. There's basically no way around these - ALL EASA test prep sources make you buy these. They are available through any number of flight shops on the Internet. 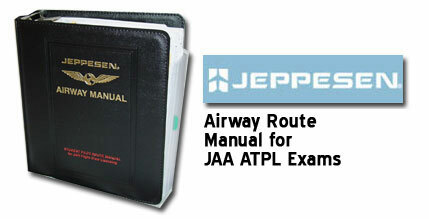 First is the Jeppesen Student Pilot Flight Manual for EASA Flight Crew Licensing. This is a collection of charts, approach plates, and so forth that are referenced in the question banks. You will be allowed to use this if taking the exams which require them (such as the navigation exams). The second item that you should purchase is a flight computer? The standard E6B / Private Pilot / PPL style flight computer that you may be familiar with from your student pilot days will be sufficient for some, but not all the questions. The Pooley's CRP-5 is one such highly regarded flight computer. What is the format of the actual EASA Exams? The exams are multiple-choice tests. The exact number of questions set for any given paper seems to vary a bit from sitting to sitting. The time to sit each test varies significantly - the shortest ones allow for only 30 minutes while the longest 3 hours. This is accurately portrayed in the software. One of the key things to understand about these tests is that they seem to be continually in flux, as various rulemaking bodies fine tune and standardize the process. Where and when can you take the EASA ATPL Theory Exams? There are a number of places throughout Europe and the US where the tests can be taken. In Europe, expect a visit to a national capital or major airport area. In the USA, a well-known exam center is available in Florida. The exams are generally given once a month. It is not possible, either by rule or by practicality, to take all 14 exams in one sitting. Most people take the tests in about 5 or 6 sittings. While this GroundSchool software is a highly effective study tool, in general the failure rates for these tests are not insignificant (consider: with 14 tests, even if the failure rate was just 10% per test**, you could just by chance alone expect to fail between one and two tests), so some allowance should be made in your schedule for the potential of retake. Most people pass when they go for a retake. The exams entail a fee. Thank you for trying GroundSchool! If you have questions, we're standing by via the helpdesk on our website to assist you. We wish you the best of luck in all of your aviation goals! * Prices are listed above in EURO. However, the underlying currency of our Payment processing company is US Dollars. We have approximated the price in Euro above, but the acutal price you pay may vary sligtly due to exchange rate fluctuations and other factors. The actual price you pay is visible on the check-out page(s). VAT and/or sales tax may also apply, depending on where you purchase from and the billing address of your payment method. * exceptions include some exceptions for some very high time airline pilots and some military pilots. However, licenses granted under this exception will generally be restricted in some way, such as being limited to their country of origin, administratively. Really, if you're reading this, it's basically 100% that you will need to take the tests. Sorry! ** and actually historically the failure rate has been somewhat higher than this. If you study hard, you're more likely to pass. If not, you're more likely to fail. Based on our experience with these tests, we advise you to treat as suspect any claims from ANY school that claims "we have a passing percentage rate of X " where X sounds suspiciously high. Uwe is originally from eastern Germany but now lives in Hamburg. He has an extensive background as an IT consultant for Lufthansa Systems and is an active member of the Lufthansa Flying Club. Uwe is an expert in personalized tutoring for all aviation theory subjects from PPL through ATPL, available via his website Piloten-Training.com. Uwe is currently transitioning to an eventual role as a full-time airline pilot. I want to study for all of the tests - why should I download just one above? Basically, you have a choice: you can download just one and then use the built-in 'Program Updates Check' feature from the main menu to install additional test banks as you require, or you can download the entire 14-test package at once (available at lower right as the last download option above). The advantage of downloading just one and then using the update process is that the download is faster as the whole 14-test bank set can be a lengthy download for some - by downloading piece by piece you can split this into perhaps more manageable chunks as you need them. Please describe the purchase process. Our GroundSchool EASA ATPL PC software is sold on a "try before you buy" basis. This means that you are free to download the software from our website, install it on your PC, and try it out. Before you register (purchase) it, however, the software will be locked in a demo mode in which only 5% of the questions are available. This will be enough to let you get a feel for the software, but not enough to actually prepare you in any serious way for your exams. To unlock the rest of the content, you can visit the order page to complete the order process. When your payment has been made, an unlock keycode will be sent to you via e-mail. You enter this unlock keycode into the software to unlock the full content the test banks of your choice. You can purchase unlock codes for individual tests, but by far the best price can be had by purchasing all 14 tests at the same time. Thank you for your understanding that due to the nature of the electronic sales process and because the software is available on a try before you buy basis, once the purchase has been made, it is not reversible. How long is my purchase good for? Unlike other EASA ATPL preparation providers, we do not limit you to some arbitrary "6 month" or "12 month" access. Rather, we state that your purchase is, in essence, good for life. Furthermore, we allow you to update the software to the newest available version, FREE, at any time. This is of course not a guarantee that 100 years from now we will still be updating the software, but it does say that whenever we do, you will have access to it. To wit, we have users who have been using our GroundSchool FAA (USA) software for more than a decade now with free updates since their original purchase. However, there is a catch: when you purchase this software, it is for your own, personal use only. You may NOT share this with friends, coworkers, etc. Please direct such people to purchase their own copy! We hope that you find this tradeoff to be fair - in exchange for free upgrades and no set time limit, you agree not to share this software inappropriately. Free upgrades means that in the future you can use this software to review or brush up. Why is the price so inexpensive? The prices above are listed in Euro. However, our underlying shop currency is USD. Because of this, the price you pay (even in Euro) may vary slightly from what is shown above due to exchange rate fluctuations.. As you go through the order process, you will see in a later screen the actual total price displayed in your local currency. Orders are handled for us by SWreg, our e-commerce partner who have been absolutely great at providing a reliable and secure e-commerce gateway for us. Note: because of the way SWreg's currency conversion works, some buyers may get a slightly better price by changing the currency to checkout to 'US Dollars' no matter what your actual native currency is. Can I order by Phone, Cheque, PayPal, shiny glass beads, etc? Except maybe for the beads, the answer is generally yes. The SWreg order system allows for a large number of ways to order. To order, for example, by phone, just start the order process online. Then, when you get to the payment stage, it will ask you about payment method - here you will see the full list of choices. Will I receive a CD-ROM? No. The software is downloaded from our website and installed on your PC directly. This allows us to get the most recent software to you efficiently, and it saves postage and manufacturing costs. Yes, the downloads can be large, but they are doable even on a dial-up connection if you have a little patience. Most of us have access to high-speed internet through which the downloads should generally take a few minutes at the most. Sorry, we do not have CD-ROMs to send you in any circumstance. There's just virtually no demand for it and the hassle is huge. If I buy just one test now, can I get a credit towards buying all 14 later? Sorry, no. This would be inefficient to administer and kind of defeat the whole purpose of offering the 14 in an extremely value priced bundle. What is the total number of questions? The total number of questions varies as question banks change. Basically, all serious EASA Airline Transport Pilot License Airplane (ATPL-A) test preparation methods (including ours) offer a hefty test bank of questions which is (at the time of this writing) around 15,000 questions. As we and the relevant authorities change their questions, this number is likely to vary a bit. Basically, we have the same number or more questions as any other serious training or preparation provider, and our full-time staff uses the same methods of updating our banks as major flight schools and test prep providers. Don't panic if some provider claims an extra few hundred questions more than some other - it's likely in such cases that the provider is simply not removing some expired or outdated questions from their banks in order to artificially inflate the numbers. Please note also that in our preparation for answering this question, we've seen a few (amateur) products that seem to offer a total of less than 2000 questions that nevertheless claim to be complete EASA ATPL Theory Exams question banks. We have absolutely no idea what such offerings are, but there is no possible way that they can be anything approaching comprehensive. Do I have to be online to use the software? No, you don't. An Internet connection is required initially for downloading and unlocking GroundSchool, and of course you also need to be online to check for updates. However, to use the software on a day to day basis, you don't need to be connected to the Internet at all. This is great if you, for example, find yourself on the road with some spare time and a laptop. This is particularly useful for professional pilots and others who regularly find themselves in inconvenient places with time on their hands, but also for everybody else, as this means that you can cram for the test on the train / bus / plane ride to the testing centre. More to the point, if you're serious about your EASA ATPL, you may have been looking a few sites. Some might offer website-based study. If you try their demos, you will see that websites have relatively slow response times. A second here, three seconds there doesn't sound like much - until you add it all up, and you find that our software, with its responsive, highly customizable interface will save you hours, if not days, over the course of your training. Again, don't take our word for it - if you haven't already, try our demo and see. Where can I get additional help with the questions or personalized coaching for EASA exam topics? Please visit our friends at PILOTEN-TRAINING who can provide you with a wide range of such services. If you have any further questions we are happy to help you via our online helpdesk.